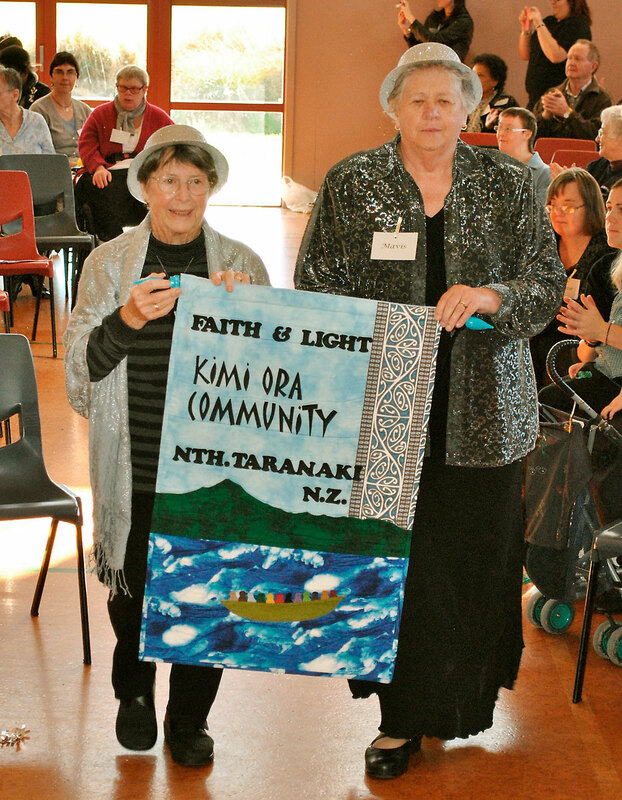 Nineteen people from the Wellington and Palmerston North dioceses were among the 200 gathered in Christchurch on 26 May to mark 25 years of Faith and Light in New Zealand. Coordinator of Southern Cross Province Mary de Leijer opened the conference with the story of Jean Vanier’s founding of Faith and Light 40 years ago in Lourdes. 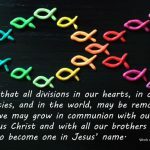 Vanier intended Faith and Light to be a Christian community movement for people with intellectual disabilities, their families and friends. Today there are 1600 Faith and Light communities in 80 countries. 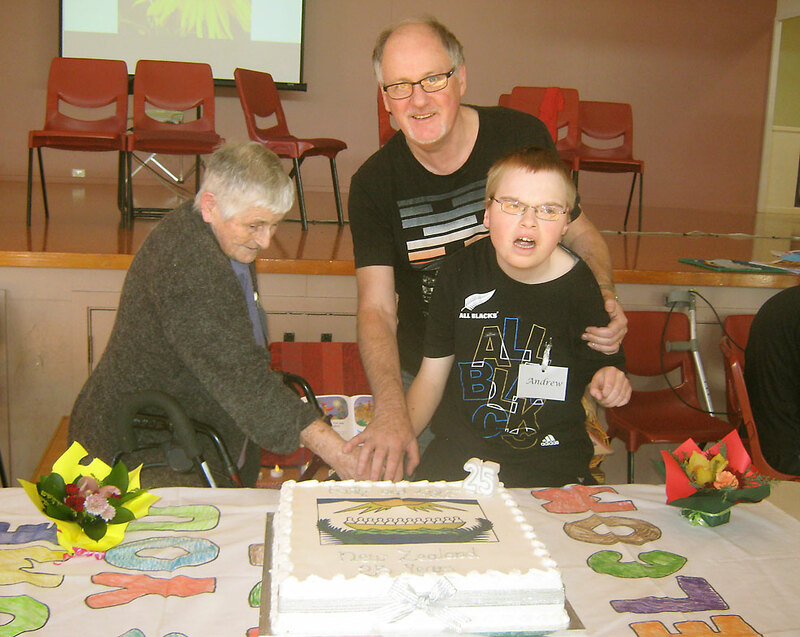 Many at the New Zealand movement’s birthday party who had not met for several years embraced and spent time catching up on their life’s stories. Parents spoke of how the ear of another parent who understood without explanation when things were tough was a great gift of Faith and Light. Appreciating that their child was a gift takes time and many reflected on how they now realise that they have met so many people who have enriched their lives whom they would not have met without their special child. 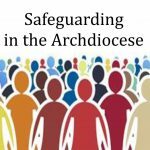 Faith and Light bears witness to the fact that people with intellectual disability have an important place in our society and in the Church, says Mary de Leijer. ‘We discover that the person disabled intellectually is often more abled in the spiritual gifts of joy, love and true heart-to-heart friendship. At the start of the celebrations, each New Zealand community’s banner was borne in to great applause. In an ecumenical service participants reflected on the parable of the sower and how all are called to be the good soil. After lunch there was entertainment, the cutting of the birthday cake and a missioning at which each person received a table mat and some seeds to take home with the encouragement to spread the seeds of God’s love in their lives. 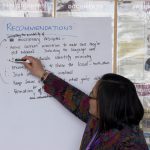 Attendees from the two dioceses came from Living Waters Community Nelson and Shalom Community Lower Hutt, Rongopai Community Palmerston North and Kimi Ora Community New Plymouth.